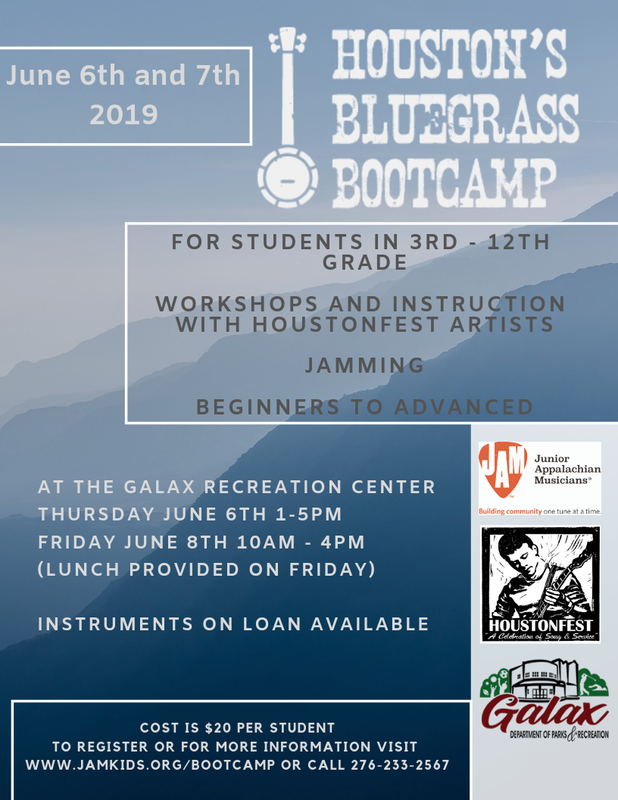 JAM is excited to be a partner on the second year of HoustonFest Bluegrass Boot Camp for kids! Starting Thursday afternoon, June 6, 2019 and continuing on Friday, June 7, this camp will be available for all kids, from seasoned youth pickers to pure beginners. For only $20, thanks to generous sponsors, your child (grades 3-12) will get to learn and interact with festival headlining acts, and participate in music and dance workshops for a variety of instruments, plus much more! JAM will have instruments available for participants to borrow during the camp. Pre-registration is requested if possible. The limited number of participants is 40.